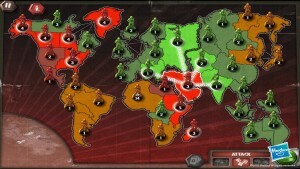 Risk on Steam by PopCap Studios was a game that I was very excited to have the chance to review. Risk is an ultra-popular board game which was with us since the late 1950’s, so I was really looking forward to a modern PC iteration of it. After all, there are so many ways this grand conquest strategy game can be made awesome on the PC, and I really need the break from complex 4x (eXplore, eXpand, eXploit and eXterminate) games and enjoy just the most important aspect of the strategy games in its pure form – enemy extermination. I had reasonable hopes for this game when I saw that it was developed under the tutelage of PopCap Studios, which already has well-accepted games in their portfolio. 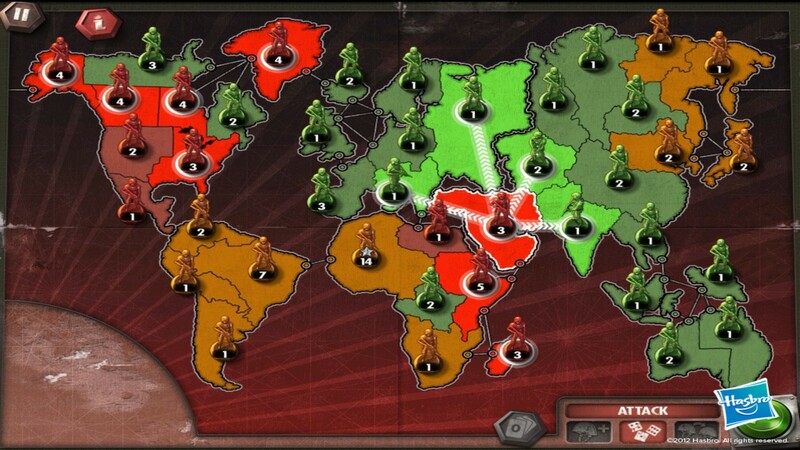 However, after a few hours with Risk on Steam, I was left disappointed, as this game has too many flaws to ignore, they affect every aspect of the game and ruin any potential fun you might have with it. Let’s start with the most glaring flaw first. The original Risk is more than just a board game, it’s a social experience as well, with players trying to outsmart each other. 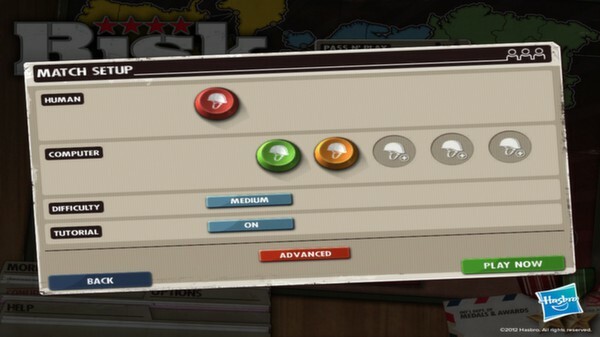 A part of this feeling is lost with all multiplayer games, as the communication is limited to audio cues at the best of times, but Risk lacks not only voice chat to accompany the strategy going on, it also lacks the most basic multiplayer matchmaking system. The game was originally released without the multiplayer at all, allowing only single-player matches against the (lacking) AI, but the multiplayer was added on later to remedy this. However, the only players you can play against are the ones you call into your matches directly, the game doesn’t have a lobby system or a server list that would allow you to quickly match up against strangers who also feel like playing Risk online. But I’m getting ahead of myself. Let’s take it from the top. The first shock for me came when I run the game initially and discovered that it doesn’t support 16:9 screens properly, as it runs at 4:3. This is really out of the question for a game in this decade and scores some major negative points with me. 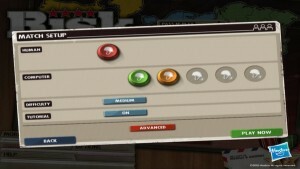 The starting game menu lets you set up a match immediately, having you select the color of your side, and allowing you to implement any additional rules if you want. The standard setup uses classic rules. Thankfully, the initial board setup can be done automatically, you don’t have to manually place figures on the territories assigned to you. 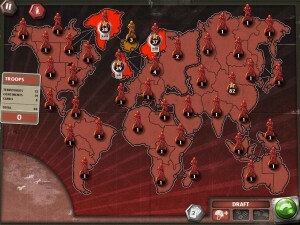 The map and the figures were the next shocks. I was hoping for a well-designed and thought out map with interesting models for the figures, or options to change how they look (national armies, fantasy armies – implementing additional skins shouldn’t be too complex of a task), but all I got to look at where low-resolution single-color models which barely had drop shadow, let alone any advanced graphical effects. If this was a board game instead of a PC game, the figurines would have been made of clay that was colored with water colors. Now, do you remember one of the basic features that make strategy games playable and has been in all games for the last 20+ years? The save feature? 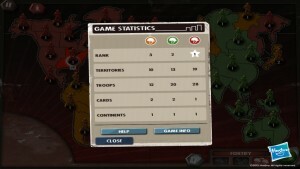 Well, this game has limited game save feature – you can save the state of your current match and you can restore it, but if you want to, let’s say, save the current game against an AI you’re playing and go play a match with a friend, you’re going to lose all of your progress against the AI – the game can’t deal with two saved states at the same time. I try to say something nice about everybody, but I really had to rake my brain to say something nice about Risk on Steam. Here goes – the very low graphical fidelity of the game makes it run very smoothly on laptop machines, even the ones that are a few years too old for gaming. Other than that, there are very few positive sides to this game, it doesn’t look pretty, it doesn’t have a compelling gameplay mechanic for a PC game and the price is ridiculous for a game of this quality. To finish things off, it seems that the game is (or at least was, before getting patched) extremely buggy, the steam forums have plenty of threads reporting how the game crashed for no apparent reason. To conclude things – this is not much of a game, more like a game project that was started but was never successfully finished. 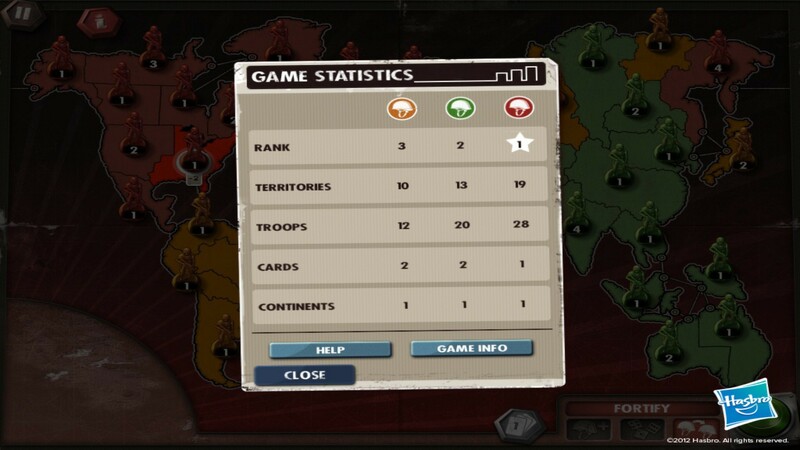 Which is a real shame, since there were no interesting Risk games on PC since Risk: Factions.